Tiny flower of the thread-leaved sundew, Massachusetts. Several unrelated groups of plants that live in nutrient-poor habitats have evolved similar methods of getting a nutritional boost: they eat insects. Sundews capture their insect prey on sticky droplets at the ends of little hairs on modified leaves. Over time, the sundew digests the insect, gaining nitrogen and other needed nutrients. 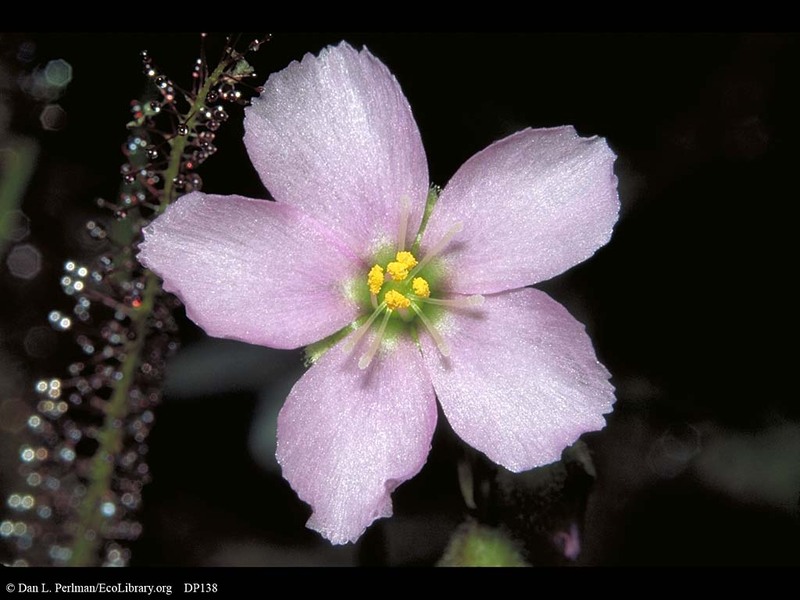 This species of sundew is endemic to the East Coast of North America, where it lives along the shores of coastal plain ponds, in certain types of bogs, and in a couple of other wetland types. It is listed as endangered in Canada by the national government.